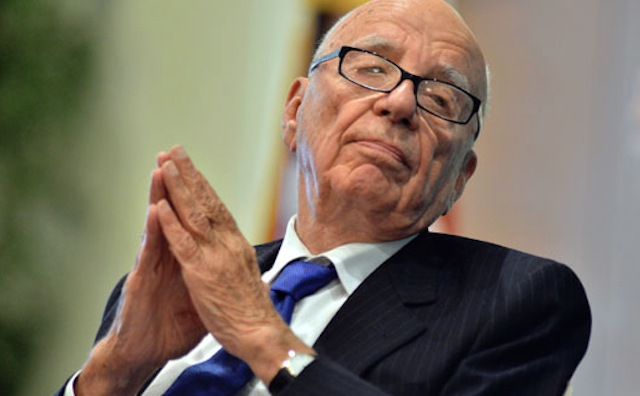 Media baron Rupert Murdoch remains unmoved by Mitt “F*ck It Let’s Try Again” Romney. Politico reports that in a talk at the Manhattan Institute, Murdoch had positive things to say about pretty much every Republican thinking of running in the 2016 presidential election. Aside from Romney, that is. When asked about Rand Paul, Murdoch said he was “very impressed by his brain.” He said that he wouldn’t write off Chris Christie. He proclaimed that Scott Walker would be an “interesting candidate.” Then, sadly, the subject of Romney running for the 247th time was broached. When an obscenely rich man is mad at another obscenely rich man for acting too obscenely rich, you know things are bad.